Take advantage of this opportunity to turn your seldom-used or "clearance" items into cash, or shop for great bargains! 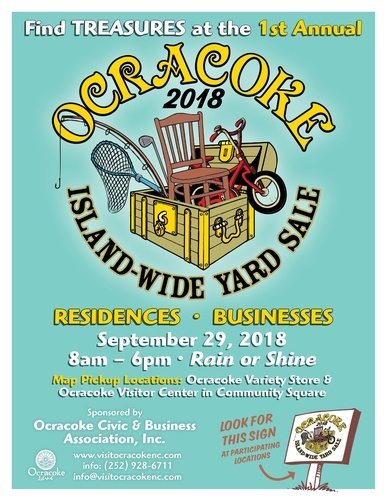 Participation in this event is free to all Ocracoke individuals and businesses. 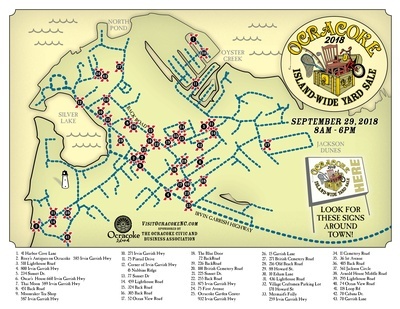 Maps will be distributed highlighting the locations of participants at the Ocracoke Variety Store and the Little Visitor Center in Community Square. Signs will be provided and available for pick up date, TBD.